Nanjing is called Nanking or Jingling by some people. 10 dynasties and regimes had made it the capital and it is now one of China's central cities with many regional attractions. Here we listed some tourist and scenic areas for you if you ever visit this wonderful city. Its Lukou International Airport is the place you'll land first if you take a straight flight from your country. It's one of the ten big airports in China and connects with 65 major cities of the world such as Tokyo, London, Frankfurt, Amsterdam, Chicago, Vancouver, Los Angeles, Moscow, Singapore and Seoul, etc. 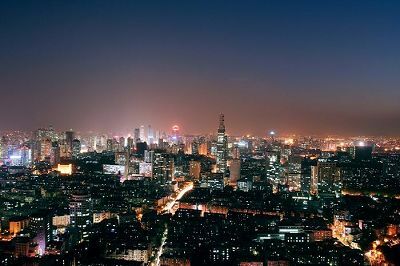 As the province capital of Jiangsu, Nanjing has more than a dozen districts with over 7.4 million permanent residents. It belongs to the north subtropical monsoon climate zone with four seasons, plenty of sunshine and rain. At present time, corporations, such as BASF, Siemens, Shell, BP, Ericsson, Ford, Motorola, Sharp, Fujitsu, LG and Samsung, etc. from over one hundred countries and regions have made investments there. Besides being a place for business adventure, Nankingis a place for tour. By the way, it's also the location where the story of one of the Chinese classicals, The Dream of the Red Chamber, took place. Historic and prestigious Jinling 48 Scenic Spots are scattered across Nanjing’s 10 major scenic zones. 1. Zhongshan (Mountain Bell) Scenic Area. Situated in the eastern suburb of Nanking, it is the most prestigious sightseeing area of the city, covering more than 50 major sites such as Dr. Sun Yat-sen's Mausoleum, Xiaoling Tomb of the Ming Dynasty, Plum Blossom Hill, Purple Mountain Observatory, Botanical Garden, Lingu Temple, Xuanwu Lake Park, Tiacheng Wall, Jiuhuashan Park and Jiming Temple. 2. Qinhuai Scenic Area. Situated in the south of Nanking, the area, covering the Qinhuai River's inner strip from Dongshui Pass in the east to the Xishui Pass in the west, has many scenic spots including the Confucius Temple-Qinhuai Scenic Zone, Zhanyuan Garden, and the Urn City of Zhonghua Gate. 3. Stone City Scenic Area. This area is in downtown of Nanking with mostly cultural sites, including the Stone City, Presidential Palace, Mochou Lake, Ganjia Lane Stone Sculptures of the Southern Dynasties, Chaotian Palace, the Villa Area on Yihe Road built during the time of the Republic of China, Jinling Sutra Printing House and the Former Residence of Ganxi. 4. The Great River Scenic Area. The city bestrides the Yangtze River, showcasing a string of magnificent riverbank views that consist of Nanjing Yangtze River Bridge, Yuejiang Tower, Yanzi (Swallow) Rock, Jiangxinzhou Island, Jinghai Temple, Tianfei Palace, and the Ruins of Baochuan Shipyard at Longjiang. 5. Qixia Scenic Area. Situated in the northeastern suburb of Nanking, it is famous for its red maple view and the 1000-year-old Qixia Temple. "Niushou Mountain for spring outings and Qixia Mountain for autumn hiking" has been a common saying since ancient times. 6. Scenic Area in Southern Suburbs. There are beautiful sceneries and numerous historic sites such as the Yuhuatai (Rain Flower Terrace), the Niushou Mountain, Two Tombs of Southern Tang Kings, the Leaning Tower of Fangshan Hill and the tomb of the King of Brunei. 7. Scenic Area around the Gucheng Lake and Shijiu Lake. Situated in Gaochun County and Lishui County, this area has main scenic sites such as Yanzhi (Rouge) River, Tiansheng Bridge, Gucheng Lake, Gaochun Ancient Street and Fujiabian Ecological Agriculture Garden. 8. Scenic Area in Jiangpu and Pukou: With the laurel of "Nanjing's Backyard Garden", this area faces Nanjing City across the Yangtze River. There are sites like Pearl Spring and Laoshan National Forest Park. 9. Tangshan Scenic Area. Located in Jiangning County, it has famous hot springs and the Yangshan Hill Stele. Nanjing Tangshan Ape-man was also discovered here. 10. Jinniu (Golden Ox) Lake Scenic Area. Located in Luhe County, this area features Stone Pillar Forest and jasmine. The major scenic spot here is the Stone Pillar Woods of Guizi Hill. To enjoy these sites and experience the daily Chinese life, you may take the bus route as shown here with pictures. Wonder how much does your money worth in China? Click to find out.